If you have anything to do with the world of ‘influencers’ (will that word ever not sound awkward and weird?) then you will have probably have seen the mass panic that happened before the weekend surrounding the disclosure laws. 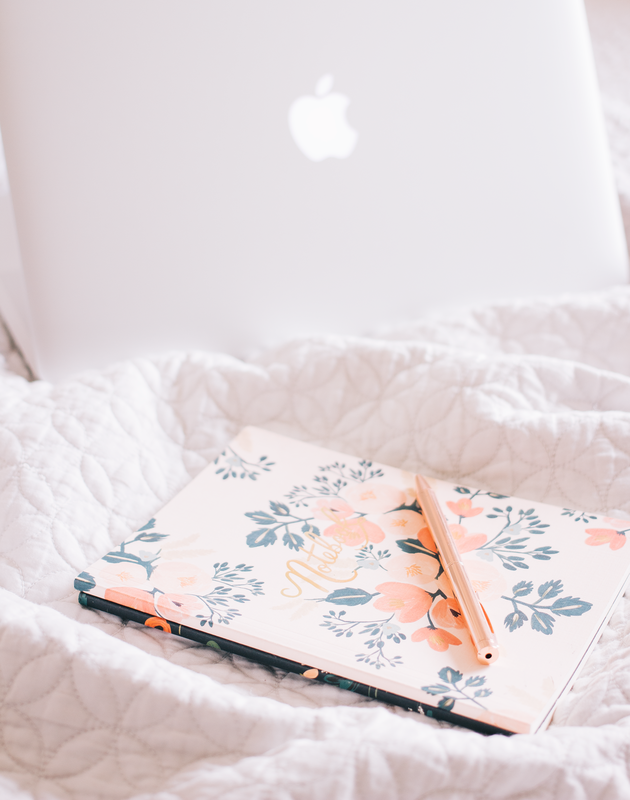 The business of blogging is frankly not something I have any interest in writing about as it can all be a little tedious and there are lots of people who are much more knowledgable on the subject than I am. But this post seemed important to write as there have been so many strange reactions to these guidelines and it was a little sad to see so such a reaction from content creators. I believe being transparent is vital online and these guidelines seem like a positive step in the right direction for all of us so here are a few thoughts on it all. If you have been paid (in money or products) to create content for a brand surrounding a product. If you’ve been invited on a press trip. If you have been gifted an item from the brand with no requirement to share. If you’ve bought a product from a brand but you’ve worked with them previously. Whilst the way that disclosure has been presented for some of these circumstances seems very clunky and makes captions a nightmare there is a really good reason why these guidelines have been put into place. Far too many people, whether from the world of blogging or reality tv have not been declaring their paid advertisements properly or at all. It’s absolutely not ok to deceive consumers when you know they will more than likely go out and purchase something with their hard earned money that they believe is being shared organically when there is often tens of thousands of pounds behind that post. An argument that is always at the forefront of the blogging world when anyone comes under fire for an ad gone wrong or having to disclose new rules is that traditional media doesn’t have to play to the same rules. And I could be alone with this opinion but I don’t believe that two should be compared, they are two completely different beasts. A person writing a column on cleansers in a magazine is more than likely not also sharing or profiting from their personal lives like bloggers are. The reason why the world of blogging became so popular and ultimately so lucrative is that people started to turn to them instead of traditional media, people wanted to know what ‘real users’ felt about a product. It used to feel like you were getting a review from a friend and I'm so glad there are so many bloggers who have perfected the personable but professional route. Ultimately, when I turn on the tv and it gets to the ad breaks then I know there is a budget behind what I’m being shown and it has one aim which is to sell me something. The same goes for a magazine, there is hundreds of glossy ad's before you even get to the content in a magazine. Even in the show Queer Eye which is on a streaming service rather than mainstream tv there is a pop up played the show begins which disclaims that there is product placement. There are most definitely things that probably need examining in the traditional media scene but to constantly compare it to the world of influencers seems a little nonsensical. The biggest reason why I wrote this post is that I’m a big believer in disclosing and doing it to the best of your ability. Whilst some of the new rules seem a little odd if they can make consumers feel a lot more at ease with content creators and our industry becomes a lot more respected because of them then that is a huge positive as it’s still very much a punch line in many jokes. Lily Melrose wrote a wonderful tweet thread about why the rules caused many in the industry to panic (read that thread here). She summed up many of my thoughts, from day one I’ve always tried to be as honest as can be with what I share but because there is no handbook and the guidelines are a little too vague in places it does lead to panic. I know that when I saw everything going around on Twitter I instantly panicked in case I’d been doing something wrong because retaining the trust of my readers and followers is something that I’ve worked ridiculously hard to maintain over the years and I never want to intentionally damage that. I never want anyone to view my content and feel like they’ve been duped, far too many content creators are portraying a life which is built on samples, gift vouchers and hefty discounts enabling them to purchase designer pieces every single month. And by none of this being declared, it leads the viewer to believe that they’ve purchased it and afford it because they've simply worked hard. We all work hard but that doesn’t mean we’re all purchasing clothes that are worth hundreds to thousands each month. Ultimately these laws have come into place to protect consumers who are the reason that content creators have been able to turn their hobby into a job and I think it’s so easy to lose sight of it. From everything that I’ve seen online there are a lot of people are generally happy about these changes as they want to know what they’re being shown online and there has been a huge amount of support to bloggers who continue to declare properly which is awesome to see. With these new guidelines in place things might look a little different on here so I did want to just give you a rundown on how sponsored posts and gifted products work for me and the content I create. AD: This is a term that you will all probably be aware of right now as it’s what is most commonly used in the online world. So whenever I create a paid piece of work with a brand meaning they give me a brief to work to and a schedule then I will declare this as an AD in the title and in the first line of the post it will say ‘this post is in collaboration with BRAND’. And when posting a paid for post on Instagram the term AD will be the first thing you see in the caption. GIFTED: If I’ve been gifted an item or sent a new product for review consideration with absolutely no expectation of posting it to my social platforms or blog (obviously the brand hopes that you will but there is no contract or agreement in place like there is with an ad and sharing is at the creators digression) then I will declare this as gifted. If a blog post contains gifted items then it will be the first thing you read after the title as well as each gifted item being declared after their name. And finally there is the really fiddly one but in some ways it makes sense. If I have been gifted or worked with a brand and then buy something with my own money from the brand then I will now disclose that in some way like this ‘I have with worked with X brand in the past but I purchased this product myself’. I really hope this is all very clear, I should also just add that I no longer use affiliate links on this blog! what are your thoughts on these new disclosure guidelines?